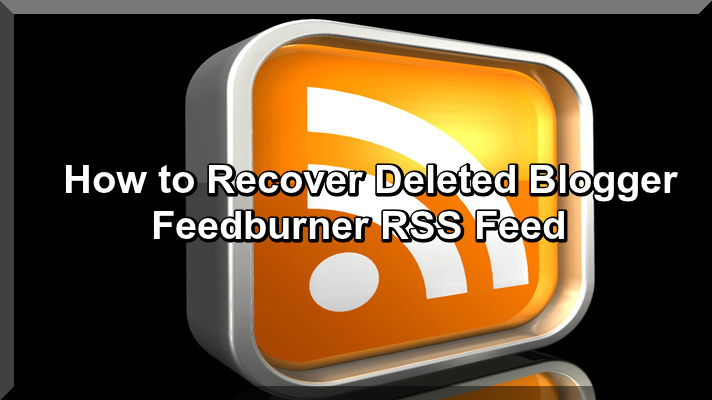 By this useful Article I guide you that how to recover deleted Blogger Feed burner RSS Feed, this is very technically mistake if you have deleted RSS Feed, it is very easy but very tricky to recover it, how to recover deleted Feeds now I guide you step by step tips and tricks and suggestions. RSS , which remains for "Really Simple Syndication", got its begin in 1999 under the bearing of Dave Winer for his Scripting News site. Since that time, RSS has been utilized as a part of numerous applications over the web and is helpful from multiple points of view which you won't not know about. So what is RSS and how might you utilize it to help expand your every day efficiency? A RSS channel works by making a wellspring of information that is machine (PC) intelligible. RSS utilizes XML, which remains for extensible Markup Dialect, to encode an assortment of data sources standardize, enabling different sites and applications to process that data and make it discernible to you however the software engineer wants. XML attempts to place bits of content between settled labels. This organization enables a PC to effortlessly read the information and show it to the end client (you) in a satisfying and simple to peruse way. The labels determine what goes in the middle of them – in the above case, the tag that incorporates when a post was distributed. In spite of my underlying perplexity about RSS, it's in reality quite simple to set up. 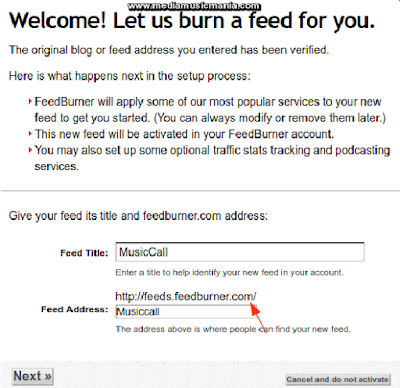 Actually, first sign up your with Feed burner with your Gmail account and how to make Blogger Post Feeds in Feed burner Read this useful Article of Blogger Post How to Burn Blogger Posts Feeds in Feed burner. 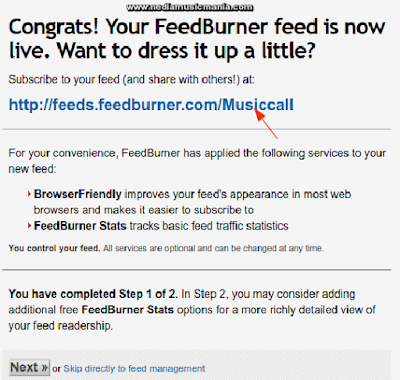 In case you're utilizing blogger you can add your RSS Feeds easily read this article and burn totally Feeds simply. 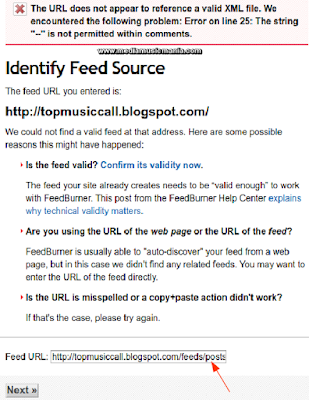 Now you should be clear that how you solve the error message and how to recover your deleted RSS Feed of your Blogger or Website. 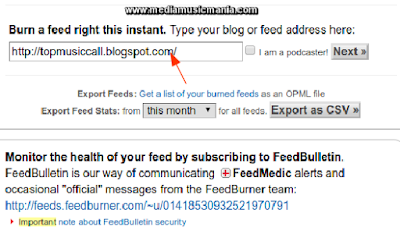 One thing note that Feed burner by default saved your Feed URL as backup and it will be recovered easily see the following Feed URL and change it only with your Blogger URL address. Now add your Blogger or Website URL with above default Feed URL, which shown in the following picture and pointed out with red color arrow. After that clicking of next button you will receive a message “Welcome Let us burn a feed for you” and now OK and once again click on next button for more guidance see the picture has given below. 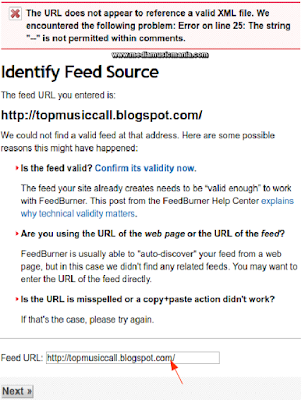 Now you are done and your deleted Feed burner Feed is recovered and enjoy, if you want to burn Feed burner RSS Feed for blogger or Website read my article How to burn Blogger RSS Feed to Feed burner for better SEO Tips and tricks for blogger and drive traffic for more information see the picture has given below for the finalization of your deleted feed. RSS remains for "Truly Straightforward Syndication". It's an approach to get news, we blogs, declarations, and some other data consequently refreshed appropriate on your desktop. You can abstain from going from site to site for the most recent news or continually checking a most loved page for updates. 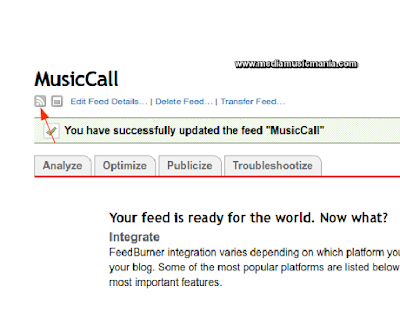 Keeping in mind the end goal to get a RSS channel you'll require a per user. There are numerous RSS per users out there you'll see that each RSS client has their inclination. Notwithstanding remain solitary projects some email customers, similar to Musical drama Mail and Thunder bird, have their own particular worked in RSS per user that gathers bolsters simply like it assembles email. Numerous news outlets like Fox News, The Washington Post, Reuters, The New York Times, CNN, and NPR have news feeds. You can choose from features, governmental issues, expressions and excitement, fund, and that's only the tip of the iceberg. Moreover, RSS is well known with blogger. Since you realize what RSS would you're say you're is presumably asking, "How can it work?". All things considered, as I said, you initially need to get a program to peruse RSS channels. These are called aggregates. Numerous aggregates basically raise content features and an outline, at that point you should click a connection to see the entire story or go to the refreshed page. Since getting Mozilla Thunder bird for my email, I incline toward utilizing it for RSS channels. It gives the feature at that point demonstrates the real page in the review sheet. On the off chance that your most loved site offers a RSS channel, you'll see an orange catch like the one seen beneath. When you discover one on your most loved site, tap on it.